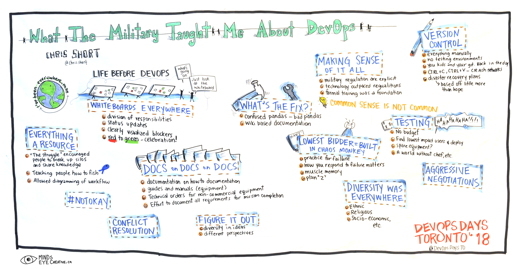 This talk breaks down how the military practiced most of the things we value in technology organizations today. From visualizing work to failing fast (sometimes too fast) to diversity, this talk takes you on a journey through my time in the Air Force and pulls from lessons learned prior to my time in the service. Kanban - Work could not pile up around anyone. Tickets could be used to track activity; used less to prioritize when to do work. Sure certain missions, personnel required immediate attention but first in, first out applied more often than not and every team member was an equal (a project manager’s dream). Configuration Management - Version control systems were not readily used during my time in the military but boy it would have been really nice to have a subversion/mercurial/git repo. Config standards were maintained through tight access controls but were frequently modified based off discussed improvements. Fail Fast Because Ultimate Failure Is Not an Option - Do the unimaginable in a remote location under austere circumstances. Ideas had to be tested immediately and often needed to be abandoned quickly based on mission needs and wartime circumstances. Diversity Was Everywhere - Black, Brown, Yellow, White, Green (sea/air/motion sick) did not matter to us. We were there to get the job done, period. Your gender did not matter, your socioeconomic status did not matter, and your ethnicity did not matter. If you didn’t know something, you were taught. If you were color blind it didn’t matter I could teach you to terminate Cat5e/Cat6 with the best of them. If you were willing to learn, I was willing to teach. Conflict Resolution - The best idea rose to the top of teams. Rank seldom mattered so long as your idea was better. Input was constantly sought after from all parties. I cannot stress how invaluable my time was in the Air Force. 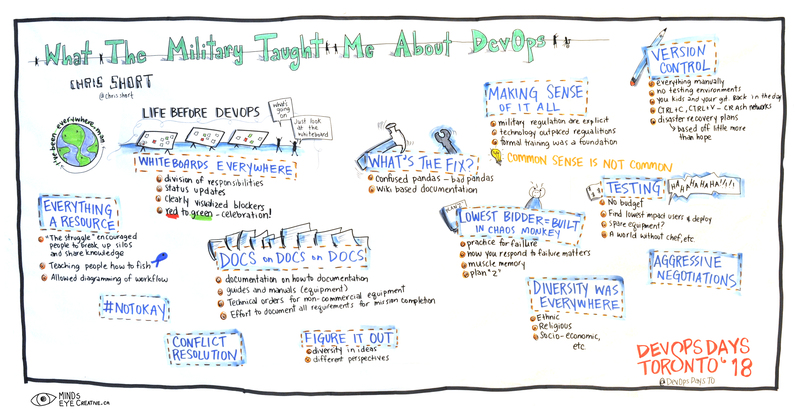 It made me who I am but it also taught me a lot of what DevOps is today. Don’t overlook veterans in your attempts to diversify.